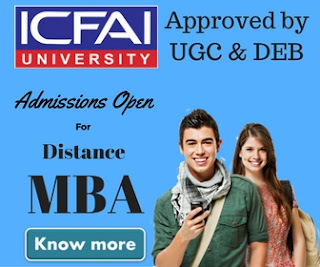 Here is a good news for students who missed to make it to apply for admission in IMT Ghaziabad distance learning MBA program in January 2014 session. Institute of Management & Technology Ghaziabad has increased the last of for admission into 2 years post graduate diploma program (MBA). 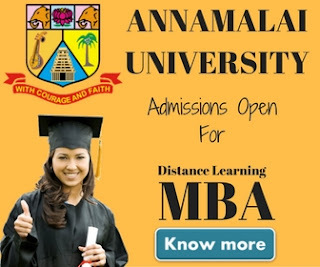 Earlier the last date to apply for 2 years MBA program was 15 January 2015 & entrance exam date would be 19 January 2015, But now when we visit their official website, we found that admission last date & entrance exam date has been changed. Usually IMT CDL last dates keep changing all the time to enable more students to get admission into their MBA program. So we strongly recommend to keep an eye on their website for the last date. IMT CDL is one of the top institution in India for distance learning MBA and has got many awards for its quality of education from leading news channels and magazines including Zee Business, Business World, DNA, CSR etc. If you don't wish to apply for January session, don't worry. 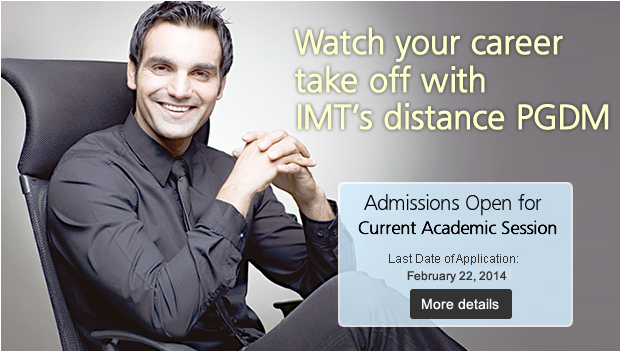 IMT invites application for admission twice in a year for distance learning courses. You can apply for July Session instead. You must have a graduation degree to apply for IMT CDL Two Year PGDM and One Year PG Diploma courses. For one year diploma you're not required to appear in any entrance exam but for 2 year PGDM program entrance exam is required. Some students are exempted from admission test, to know more about the same visit IMT CDL official website. For any other query use the contact us form available on our website.